FIVE minors who were allegedly part of a gang of looters during last week’s violent protests in Bulawayo, appeared in court yesterday. 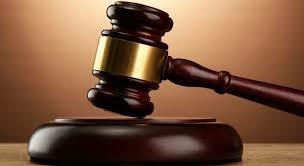 The minors all from Emakhandeni suburb aged between six and 13 years appeared before Bulawayo regional magistrate Mr Joseph Mabeza facing theft charges. They were remanded out of custody to February 14 for trial. The accused persons, who cannot be named for ethical reasons, were part of a mob that allegedly engaged in running battles with anti-riot police during the protests. They allegedly broke into Apollo Shopping Centre in Emakhandeni suburb and looted groceries and pool tokens. Prosecuting, Ms Caroline Matanga said on January 15 at around midday, the minors were part of a mob which went to Apollo Shopping Centre in Emakhandeni. They allegedly looted groceries and 129 pool tokens. “The accused persons participated in violent skirmishes with police who were trying to maintain law and order during the violent protests. After outnumbering law enforcements agents, the accused persons broke shops at Apollo Shopping Centre in Emakhandeni and looted groceries and 129 pool tokens,” said Ms Matanga. The accused persons were arrested after police received a tip off from members of the public leading to the recovery of some of the stolen items. Meanwhile, the trial of 15 people who were arrested while allegedly trying to break into Richmond Spar to loot groceries, kicked off yesterday. The accused persons, among them five juveniles aged between 11 and 17 years appeared before Bulawayo magistrate Ms Sithembiso Ncube. Enviolator Moyo (34) of Cowdray Park, Clinton Nyathi (20), Phathisani Moyo (42), Elitha Sibanda (22), Constance Ncube (28) Moreen Moyo (32) Wilson Nyathi (18), Sihliselo Ncube (40) Siphathisiwe Nyandeni (46), Thandolwenkosi Moyo (23) and the five minors are charged with public violence. Zimbabwe Lawyers for Human Rights’ lawyers Mr Dixon Abraham and Mr Tinashe Runganga are representing the accused persons. The trial continues today. Prosecuting, Ms Tafadzwa Mutsambiwa said on January 16 at around 7AM, the accused persons connived and armed themselves with stones and iron bars before they allegedly proceeded to Richmond Spar where they intended to loot the shop. They were carrying empty bags. Upon arrival, they threw stones at security guards manning the supermarket and tried to break the burglar bars on the door. “Local residents teamed up with security guards and fought the accused persons before they alerted police who came and swiftly reacted and arrested them,” said Ms Mutsambiwa. They allegedly damaged property and burnt tyres, barricaded roads and threw missiles at the law enforcement agents. The planned three-day nationwide stayaway was called by the Zimbabwe Congress of Trade Unions and other civil society organisations aligned to the MDC Alliance.